Today I have a treat…my very first guest blog post and it’s from my 14-year-old daughter, who is starting high school today….enjoy! Campus Backpack- Katalina Pink Diamonds: $109.00, verabradley.com; this is personally my favorite backpack for school because it has a lot of space with thick straps and an opening for my earbuds so I can listen to music on my way to class. Lighten Up Lunch Cooler- Katalina Pink: $34.00, verabradley.com; Vera Bradley lunch bags are awesome because if they get stained they are all washable. Laptop Sleeve- Katalina Pink Diamonds: $38.00, verabradley.com; this laptop sleeve is perfect for backpacks without laptop protection. On a Roll Pencil Case- Katalina Pink: $18.00, verabradley.com; small pencil cases are the perfect size to carry pens and pencils. Yellow Blue & White Heart Binder: $21.95, zazzle.com; this binder is the perfect place to carry loose-leaf paper for note-taking. It’s also a great place for storing graded assignments and handouts. 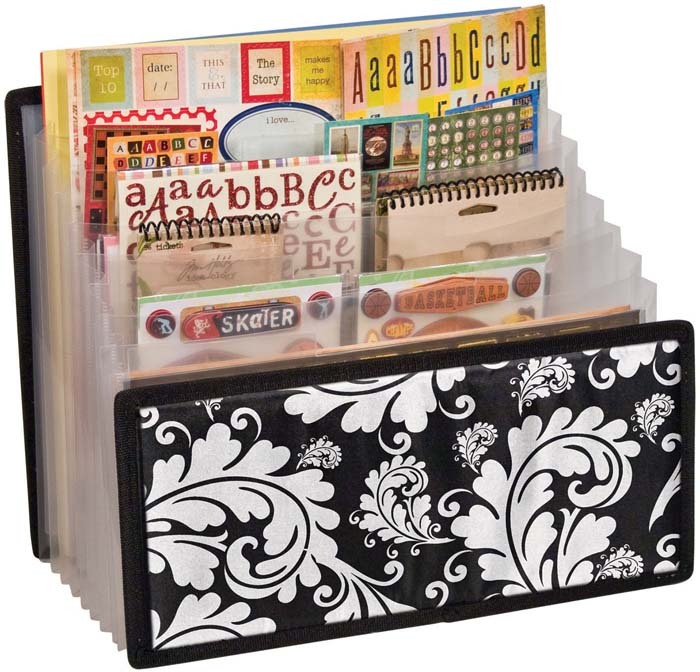 Yoobi 8 Tab Dividers: $2.99, target.com; dividers always come in handy when sorting notes and handouts for each subject. I personally love Yoobi brand because when you buy one, another binder goes to a classroom in need. Paper Mate Mechanical Pencils: $3.89, amazon.com; I love these pencils so much, mainly because the lead size is 1.3, making them way less likely to break while you’re writing. Paper Mate Felt Tip Pen: $10.00, amazon.com; these colorful marker pens are perfect for color coding my study cards. Watermelon Sharpener: $2.99, amazon.com; it’s always a good idea to carry around a super fabulous sharpener in case the teacher’s happens to be broken one day. 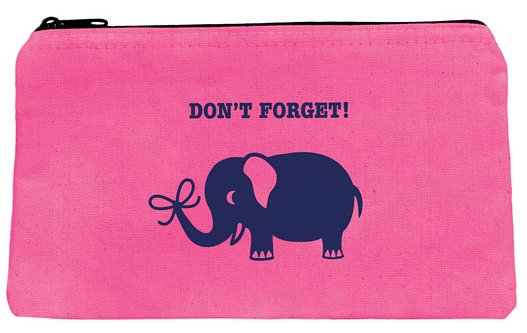 Lilly Pulitzer, Tusk in Sun Planner: $28.00, papersource.com; having a cute planner is one of the best ways to stay organized. Pony Party Sticky Tabs: £2.50, paperchase.co.uk; I love marking important pages in my textbooks with these tabs. Yoobi 10ct Mini Highlighters: $4.99, target.com; in my opinion, highlighting in more than one color is always helpful when studying from my textbooks. These highlighters specifically are also from Yoobi brand. Red Apple Eraser: $0.85, asianfoodgrocer.com; Japanese erasers are really cute and an apple is perfect for school. Sharpie, Neon Pink Fine Point Marker: $1.50, jetpens.com; I mainly like to keep sharpies in my pencil case to label my textbooks and required reading books. Unicorn Notebook: $6.99, cottonon.com; unicorns are adorable, so why not have one on your notebook? Mini Floral Notebook: $10.00, shopbando.com; this mini notebook is perfect for writing down things I need to get done later on in the day. 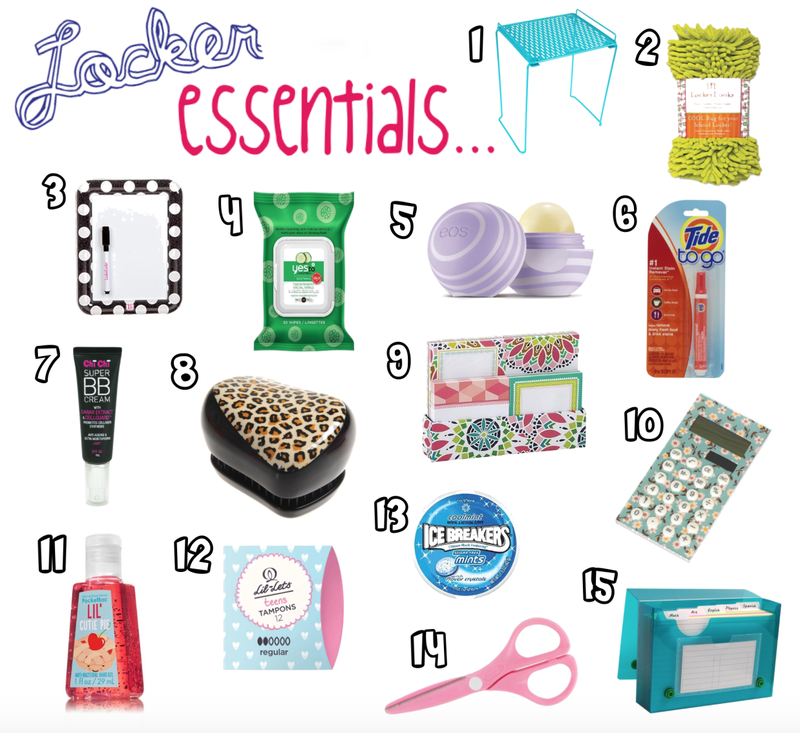 Teal Locker Shelf: $14.45, amazon.com; having a locker shelf will really help in creating space for not only your textbooks, but your other locker essentials. Green Locker Rug: $11.98, amazon.com; I think having a locker rug is not only adorable, but I’ve found it helps keep your books from slipping sideways. Black and White Dry Erase Board: $11.05, amazon.com; having either a dry erase board or a blackboard in your locker is the best thing to remind yourself of basically anything you need to do later on in the week; especially if you have to remember to bring money for a bake sale. Yes to Cucumbers Facial Wipes: $4.85, target.com; if you’re feeling sweaty or you just want to wipe your face to refresh yourself, having a small packet of facial wipes will always come in handy. I personally love the “Yes To” brand. Eos Blackberry Nectar Lip Balm: $4.00, kohls.com; if your lips are ever chapped or you just like the flavor of it, lip balm is great to have in your locker. Tide-to-Go Pen: $5.50, walmart.com; if you know me, you know I’m clumsy, so this is definitely something I need to have in my locker to remove all my lunch stains. Light BB Cream: $22.95, chichicosmetics.com; having some backup bb cream in your locker is great in case you were in a rush that morning and you need to cover up some of those blemishes. Leopard Tangle Teezer: £12.00, selfridges.com; some people have amazing hair that stays intact all day even if it’s 100 degrees outside; and some people, like me, need to brush their hair in the middle of the day to keep it from becoming a lion’s mane. GeoFabulous Design Sticky Notes: $15.00, urbangirl.com; I mainly use these adorable sticky notes to slip notes in my best friend’s locker which is right next to mine. Daisy Solar Calculator: £6.95, dotcomgiftshop.com; most math teachers suggest having your own calculator and I like to keep mine in my locker mainly because I almost never need it. Lil-Lets Teen Tampons: £1.59, boots.com; if you have a (female) emergency, these are great to have stored in your locker in case you have one of those days. Ice Breakers Cool Mints: $1.99, target.com; most schools nowadays don’t allow gum, so I love having these mints in my locker to either freshen my breath or even as a little snack. Index Cards and Case: $28.45, amazon.com; the main thing I use to study is index cards. I love keeping them in my locker so whenever I pass by, I can just review a bit before the next class. I want to wish everyone a wonderful school year, and I hope that my tips will help you. I admit it…I am an office supply addict. My addiction started when I was very young. My dad knew I loved stickers and he started buying them for me at Hallmark (the only place stickers were sold back then) near his job in NYC. My mom would also take me to the Sanrio store and I would go nuts buying little Hello Kitty colored pencils and pads. Fast forward many years later… and now I just love anything that has to do with stickers, craft supplies, desk accessories, and oh boy do I love a nice set of pens! If any store has an office supply or stationery section, you can find me there (and now my daughter too). 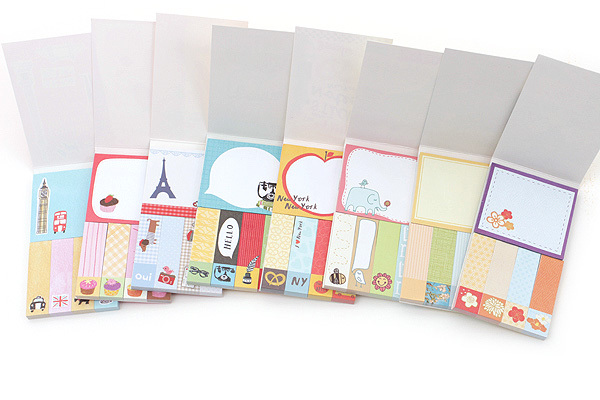 And I have to say, I have found the most amazing stationery stores in Europe, (papelerias as they are called in Spain). 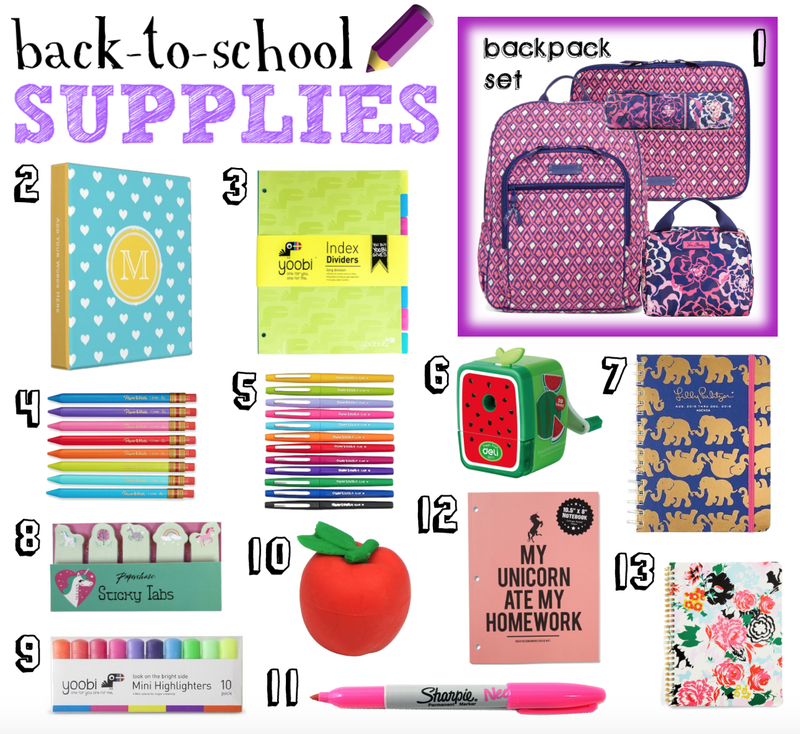 Back to school time offers a great selection of pens, sticky notes, markers, cute paper clips, you name it! Looks at these pencils, how can I resist?? Colorful mechanical pencils, found here. 1) You have more pens, pencils and markers than you’ll ever use in one lifetime. 2) You feel the urge to visit Office Depot at least once a month (or Archiver’s if you shop online). 3) You have an entire drawer stuffed full of blank, unopened writing pads and post-it pads, more than necessary for anything you will ever write down in your life. 4) You have a giant collection of adorable erasers…which cannot be used because they are so cute. 5) There’s no such thing as too many blank notecards! 6) You’re more excited to visit the Sanrio store in the mall, full of Hello Kitty stationery, than Nordstrom. 7) You secretly love back to school time, just for the new school supplies you’re buying for your “kids”. 8) You have an immense sticker collection, as a gown adult, and continue to buy more with every visit to Michael’s. 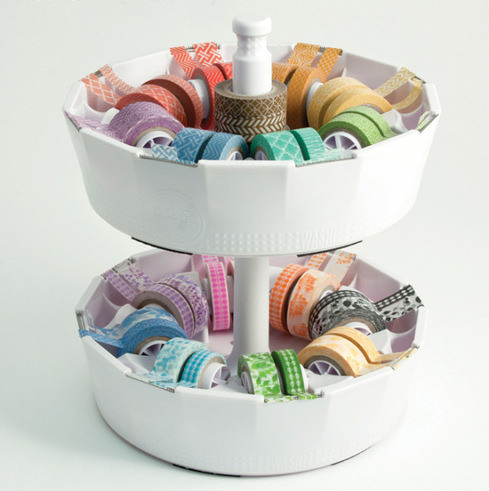 9) You purchase items such as a Sticker Stadium and a Washi Tape Dispenser (don’t judge). 10) You get really upset when someone doesn’t return one of your favorite pens (they’re all your favorites). 11) You’re vacationing in Italy, and suddenly you spot an old handmade paper and stationery store, and you HAVE to go in. 12) You write a blog post about your addiction. Beautiful color coordinated desk accessories offered at www.poppin.com. My washi tape dispenser, found here. Cute pencil case, found here. 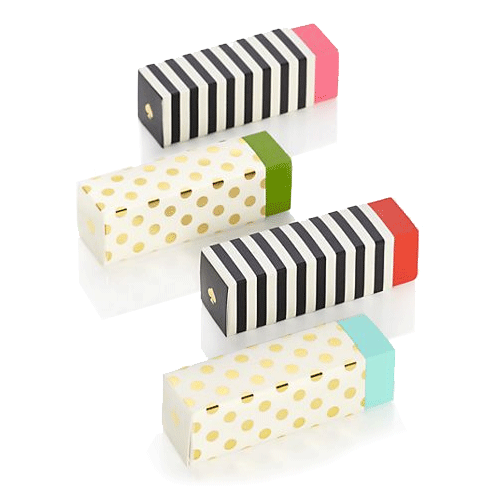 Kate Spade eraser set, found here. 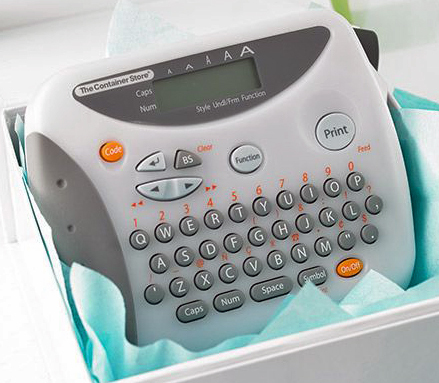 Label maker from the Container Store, found here. Mini Sticky Notes, found here. 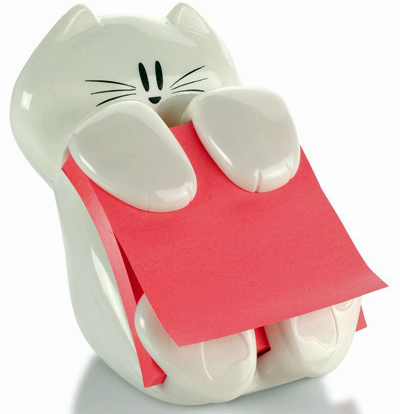 Kitty post-it dispenser, found here. 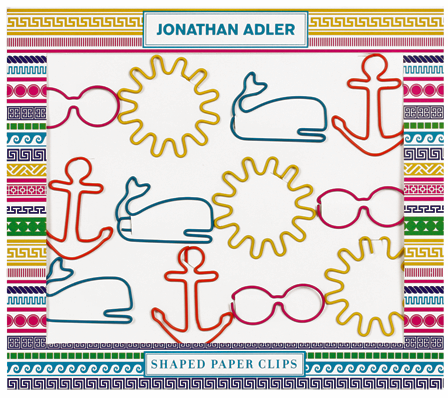 Shaped paper clips, click here. 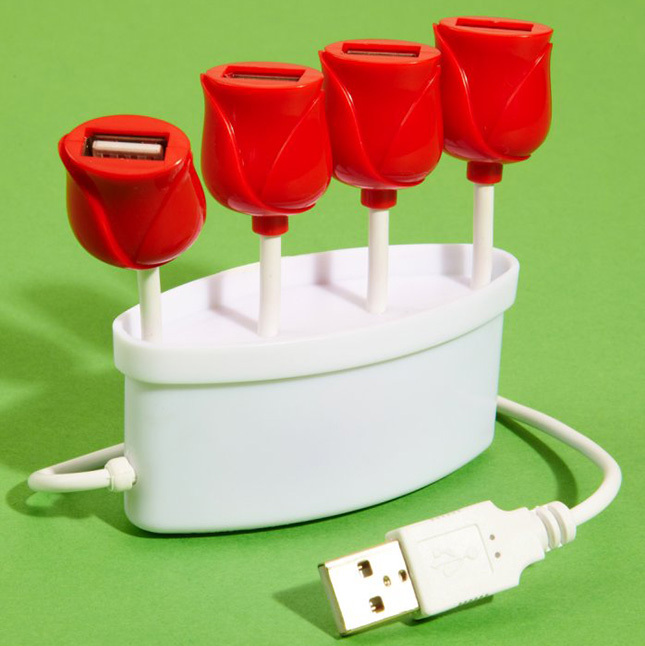 USB Tulip Hub, found here. And last but not least, my new sticker stadium, found here. Do you like office supplies? What are some of your favorite items, I love them all!